Kevin co-founded Walsh & Nicholson Financial Group in 1991 and today focuses in Wealth Management, Estate Planning, Retirement Planning, and Insurance Services for individuals and businesses. With over 25 years of experience in financial services, Kevin has helped his clients navigate changing market conditions by asking the right questions to clarify their financial needs and goals. His commitment to client service has helped earn Kevin designation as a Five Star Wealth Manager* by Philadelphia Magazine for multiple years. Kevin earned his B.A. in Economics from Bucknell University and studied at City of London Polytechnic in the U.K. He earned FINRA Series 6, 7, 22, and 63 securities registrations, and maintains Life, Health and Disability Income, and Fixed Annuities insurance licenses. He has also completed most of the study and examinations required to achieve the Chartered Life Underwriter and Chartered Financial Consultant designations. Originally from Buffalo, New York, Kevin has lived in Pennsylvania for nearly 30 years. 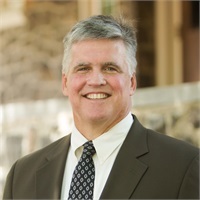 He and his wife, Sandie, are involved with the Hunger Task Force and are active members of the Bryn Mawr Presbyterian Church, where Kevin serves as a trustee. He has been a member of the Rotary Club and is the former Chairman of the Main Line Board of the Chamber of Commerce. Kevin and Sandie have three children: Patrick, Sarah, and Kyle. * Five Star Professional, as a third-party research firm, identified pre-qualified award candidates based on industry data and contacted all identified broker dealers, Registered Investment Advisor firms and FINRA-registered representatives in the (market) area including (county names) counties in the state of (state name) to gather wealth manager nominations. Self-nominations were not accepted. Award candidates were then evaluated against 10 objective eligibility and evaluation criteria: 1) Credentialed as an investment advisory representative (IAR), a FINRA-registered representative, a CPA or a licensed attorney; 2) Actively employed as a credentialed professional in the financial services industry for a minimum of five years; 3) Favorable regulatory and complaint history review; 4) Fulfilled their firm review based on internal firm standards; 5) Accepting new clients; 6) One-year client retention rate; 7) Five-year client retention rate; 8) Non-institutionalized discretionary and/or non-discretionary client assets administered; 9) Number of client households served; 10) Educational and professional designations. Five Star Professional finalized the list of (Year) Five Star Wealth Managers to be no more than 7 percent of the approximately (total wealth managers in the market) wealth managers in the area. (Number of award candidates) wealth managers in the (market) area were nominated for the award, of which (number of award winners) were named (Year) Five Star Wealth Managers. Wealth managers do not pay a fee to be considered or placed on the final list of (Year) Five Star Wealth Managers. The inclusion of a wealth manager on the list should not be construed as an endorsement of the wealth manager by Five Star Professional or Philadelphia magazine. For more information on the Five Star award and the research/selection methodology, go to www.fivestarprofessional.com.